Ideal for rescue and rope access, this anodized carabiner’s patented key-lock design does not hang up when unclipping from your harness or web. 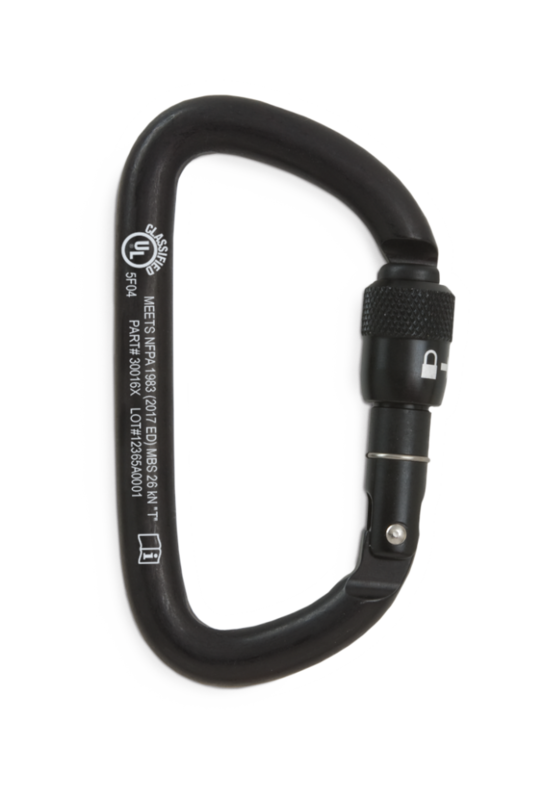 An optimized D-shape maximizes its strength, and its wide gate opening fits over 1-inch (25-mm) diameter railings, unusual for a carabiner this compact and light. Safety indicators etched on the gate augment easy one-hand operation. Manual-Lock and Auto-Lock versions are available with a removable keeper pin for use with lanyards or for terminating escape or RIT lines.